February 2019 is but a distant blip on the gaming radar right now, with titles like Red Dead Redemption 2, Super Smash Bros Ultimate, and Fallout 76 all coming out between now and then, but it'll be here sooner than you think, given how quickly time flies when you're having this much fun. That's good news for BioWare fans, though, as Anthem - the Mass Effect and Dragon Age studio's ambitious new IP - is due to release on February 22 for PC, PS4, and Xbox One. Better yet, a release date for the game's public demo has been announced, and it's taking place just three weeks before the full launch of the title itself. Unfortunately, as detailed on BioWare's own blog post on the subject, you'll have to either pre-order Anthem or be an EA Access or Origin Access member to download and enjoy the demo, which will run for a limited amount of time before shutting down for good. Yep, we now live in a world where even demos - which are supposed to be the gaming equivalent of free samples - will drain your wallet of valuable green, but that's the reality of AAA game development, I suppose. Your EA Access or Origin Access membership also needs to be active during the Anthem demo's runtime, too, otherwise you won't be able to log in and play, so keep that in mind come February next year. 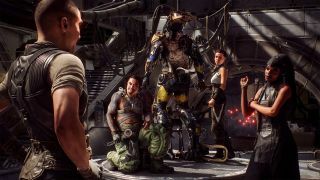 There's no word yet on whether BioWare intends to eventually open up the demo to everyone, but it's unlikely, considering the full game launches within the same month. BioWare promises that it'll reveal more information about Anthem's public demo in the coming weeks and months, including details on start times, content, and availability, but you can check out the recently released trailer above for a better taste of what's to come in the mean time (spoilers: It looks phenomenal). Anthem is in our list of the biggest new games 2018 and beyond, but did your most anticipated title make the cut?